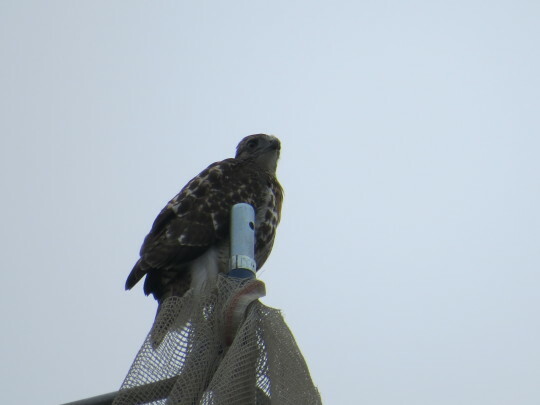 The first (and we believe oldest) hawk fledged at 10:10am. 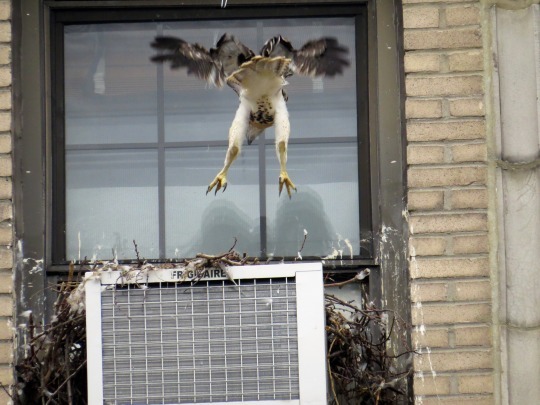 Onlookers saw the bird fly northeast of Ageloff but no one knew where it was. Just afterwards, Christo flew to a building just north of Ageloff and keered loudly for a while. 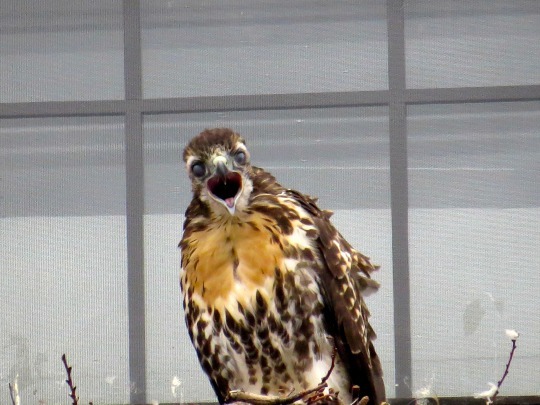 A nearby roofer came to report that he saw the bird crash into a wall (!!!) 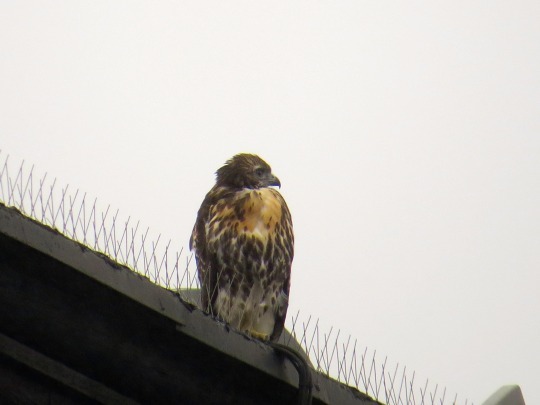 on the roof he was working on. But the bird seemed ok. The next sighting of the bird came from a diligent couple (sorry, didn’t catch your names but your gym plans were ruined!) who spotted it on a building on 5th St., just above Sophie’s bar. 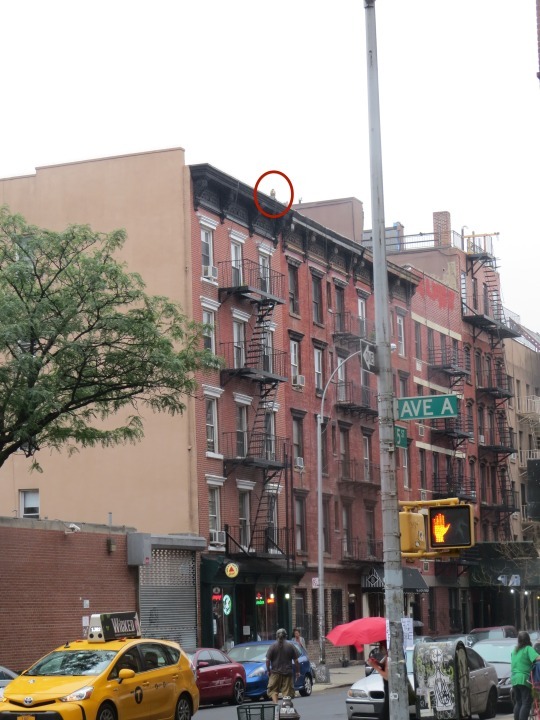 It’s a decent spot as there is plenty of room to move around and a quiet, one-way street below. 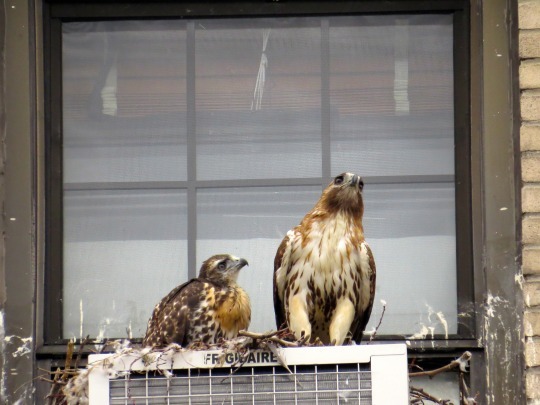 The second bird (who we believe is the middle bird) fledged at 2:45pm. 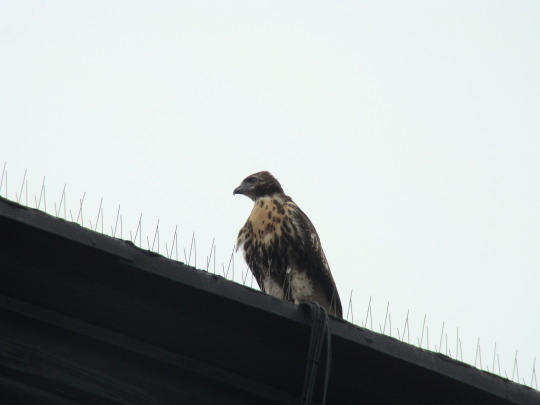 It was a much stronger initial flight and the bird landed safely on a narrow ledge on the 3rd St. side of the church. 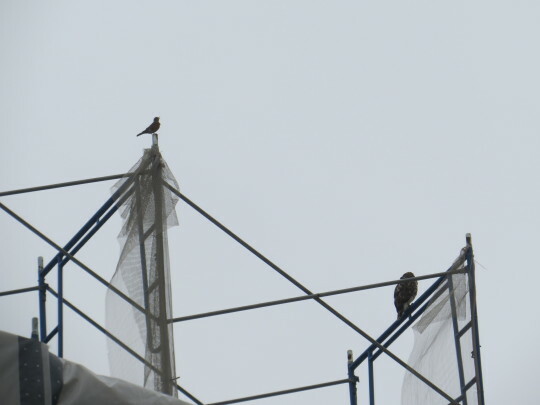 Christo spent some time perched just above keeping an eye. 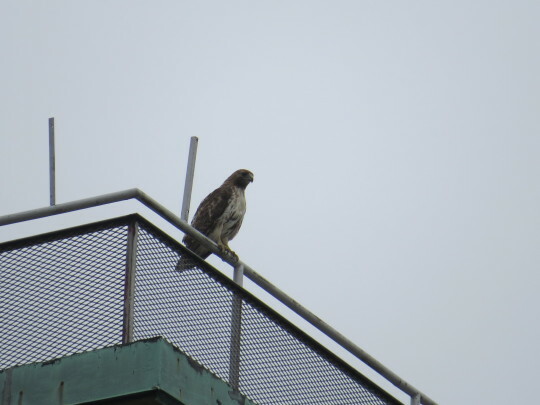 Then, the bird moved to the school on 3rd St. where it perched on some scaffolding. Mom stopped by for a short visit too. More to come as we track these hawks’ progress. Be sure to check out Gog in NYC who will post more photos soon. 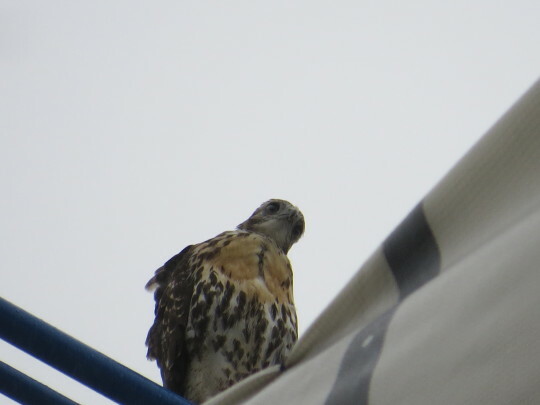 Previous Previous post: 2nd hawk fledged at 2:45pm EST!